We are so excited to have this database that is now available to all community members! 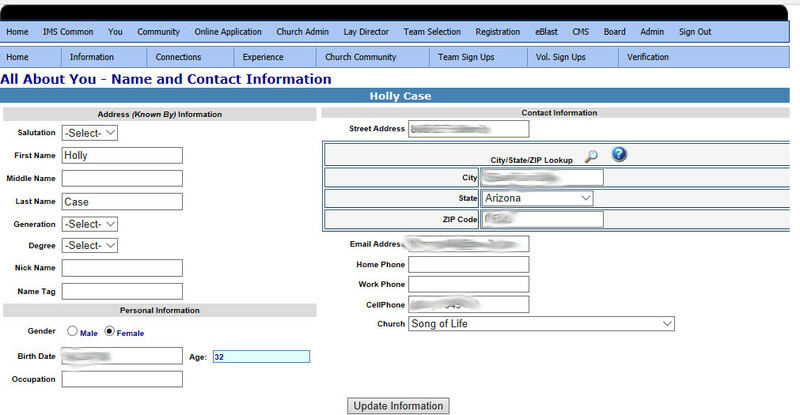 You will be able to log in and see your contact info we have on file, your church info and your church community, your pilgrim walk roster, and so much more! Below are some directions on how to login and where to find different info. If you have any questions or problems, please contact comm@azemmaus.org. The database can be found here. Your username will be the email address we have on file; if we don’t have an email address for you, your username will be [firstname].[lastname]. (Note the period! Like John.Smith). 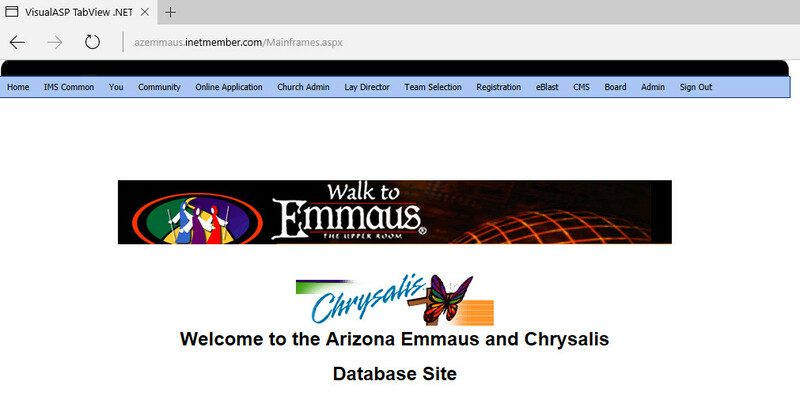 The default password on your first login will be azemmausazemmaus. You should be prompted to change your password on your first login. The first thing we’d really love for you to do is verify your information is correct. That way we know we’ll be able to contact you! Under the “You” menu item, select “All About You”. A second menu bar will appear. Under “Information”, select “Name / Contact”. 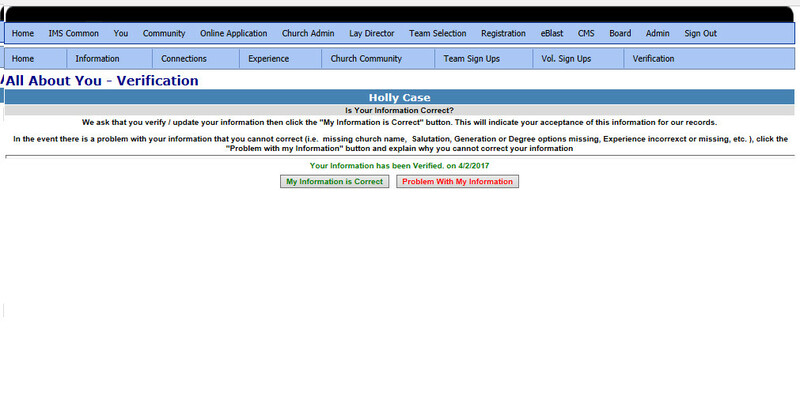 Update anything you need to update, then select the “Verification” menu option on the far right on the menu bar. If everything is correct and up to date, click “My Information is Correct”. Once this is complete, please feel free to browse the other areas available to you!